A child's first dictionary spoof that introduces baby to a world comically full of sadness and woe. My first dictionary. 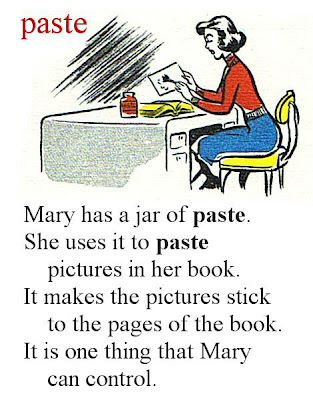 Today's word is 'paste'. Fab.